Between January and end of February, many tax payers wonder whether they should invest in their RRSPs or not. Knowing what is the right amount you are eligible to contribute and how much would be useful to lower your taxes for the previous year are the valid questions. Those who aren’t aware of this option often get frustrated when they realise it is too late to contribute to their RRSP when March 1st rolls around. Are you interested in learning some of the useful RRSP strategies to legally lower your tax rates? Then keep on reading…. To start with it would be useful to recap the basics of RRSP, especially for those who are new to this concept. RRSP stands for Registered Retirement Saving Plan which was introduced to Canadians back in the 1957 for the purpose of helping Canadian residents save for their retirement. 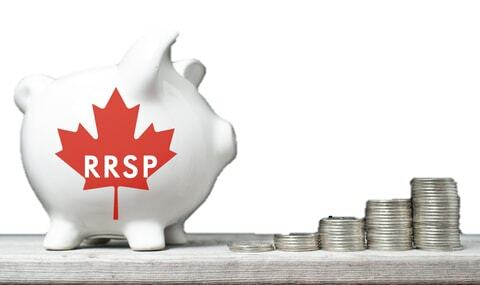 RRSP is a tax-sheltered account that enables the Canadian residents to save “tax free” while the money stays within the plan, meaning it reduces your tax rates in the meantime when you are employed, deferring the tax liability to a later date, when you stop working and start using your retirement savings. With a good financial advice, your everyday expenses in retirement should be significantly lower once your mortgage is paid off and your kids have left the family nest, earning income of their own. Hence your income from your investments from sheltered RRSP account would be taxed at a much lower tax rate then you might be today. Tax Deductible – Your annual RRSP contribution will be deducted from your annual income, allowing for an immediate tax deduction. The mount invested in your RRSP is in fact an amount before tax. Deferred Tax – As we mentioned earlier, making an RRSP contribution can enable you to lower your tax bracket, hence reducing your tax liability for the current tax year in which you contributed. By making an RRSP contribution you are essentially deferring paying taxes on the principal of the investment to a later date and the same applies to the proceeds of the investment growth within the account. What Assets Qualify to be Invested in the RRSP? Time Limit – You can contribute to your RRSP anytime throughout the current tax year. If you haven’t utilised your RRSPs contribution room in 2017, or you still have an RRSP room that would enable to lower your tax bracket, you have up to 60 days after the tax period is finished to contribute. Any contributions made between March 2nd and December 31st can only be applied for the current tax year. Age Limit – Anyone who reaches the age of 71 and above can no longer make RRSP contributions. Any money in RRSP requires to be transferred into RRIF account or another form of retirement income fund accounts. 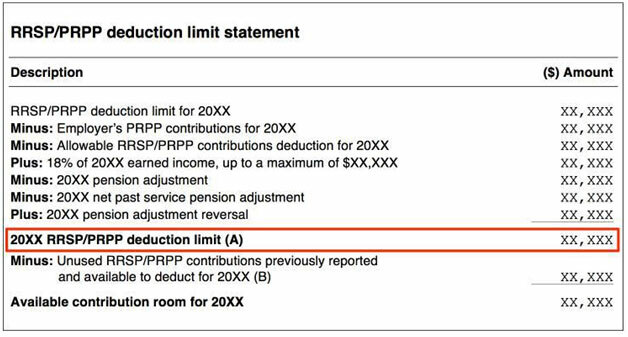 Contribution Limits – Everyone’s RRSP contribution is limited to 18% of their previous year income, up to a total of $26,010 (a maximum contribution amount for the 2017). Each individual total maximum contribution amount equals to a combination of their cumulative amounts from the previous years together with the current year’s contribution. The contribution amount requires to be adjusted by the person’s Pension Adjustments. (+/-). Calculating correct amounts can seem confusing and to benefit from the tax planning using RRSP contributions contact Ke Wang Certified Public Accountants who would be happy to assist you. Personal RRSP is an account registered in your own name. You can choose to set up and manage your own RRSP portfolio or you can get guidance of an experienced licensed adviser. Spousal RRSP is an account you can register in your spouse’s/ common-law partner’s name. They own the account, but the contribution amount is based on your own RRSP contribution limit to reduce your tax liability. The amount contributed in the spousal RRSP reduces your own RRSP contribution room, while your spouse’s contribution remains unaffected. Spousal RRSP is a way to distribute income tax between the spouses more evenly during the retirement when the household income is likely to be much lower than the RRSP income along, hence making your money working for you longer. Spousal RRSP is a great way reducing your income tax liability when your income is in a higher tax bracket. It is also a good strategy when your employer offers a pension plan as part of the employee benefits package and your spouse does not have that sort of benefit. In the event of ending the relationship/marriage, If the marriage is ended prior to the divorce under normal circumstances, spouses are required to distribute the assets equally. If the spouses cohabited before the divorce was completed, it would be advisable to draft a joint agreement so the assets won’t be split equally, but based on the agreement. Overall, it is only beneficial to contribute to a spousal RRSP when your spouse’s retirement income would be significantly lower and it would allow you to balance retirement income and reduce the tax liability during your retirement. When both spouses’ incomes are roughly the same, it does not make much of a sense to contribute to a spousal RRSP. Your employer will make the agreed or matching RRSP contribution directly in your group RRSP account. Employees are responsible for covering the investment administration costs. Investment range in Group RRSP account is often limited and depends on the terms of the Group RRSP. Withdrawing money from the Group RRSP is often limited to the account rules, usually set by the employer. If you accidentally overcontribute to your RRSP, you will pay 1% per each month since you overcontributed to your RRSP. The government will only tolerate $2,000 overpayment, so it is very crucial to pay attention and follow the RRSP limits to avoid paying high penalty charges for overcontributing. At any time, RRSP holders may withdraw the funds from their RRSP account, regardless of their age. However, the withdrawn amount will be included in the current year’s taxable income. In conclusion, opening up an RRSP provides many benefits to the beholder, but it requires a thorough tax planning to reap its benefits. It is always best to plan ahead and consult your tax planner or financial advisor who can assist you to make the most beneficial choices based on your individual tax situation. Ke Wang team of highly dedicated, knowledgeable and experienced Chartered Public Accountants would be happy to assist you with any tax and tax planning issues that may arise in your lifetime. You can book an appointment by contacting us at 416-551-5550 or ask for more information via our WeChat account under “wangkecpa”. You can be rest assured to receive efficient and reliable service!